Welcome to Monkeyspoon.com, a website and blog about mountain biking in the Peak District, UK. It offers information on local tracks & trails, maps & routes, pictures and videos. Established in 2005, Monkeyspoon is run by a group of mountain bikers based in the Hope Valley, North Derbyshire. For more information about the site see the About page or Contact us. 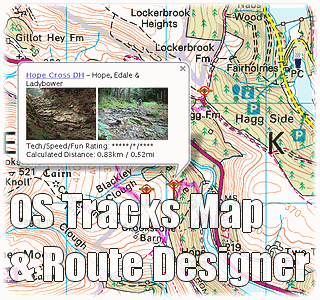 For all our tracks, as well as local mountain biking information, see the Tracks Page. Rushup: Have DCC strayed off the beaten track? What is the C.A⚡️B.G Collective?